A large front entry with tile floors, storage shelf and bench and cedar lined closets welcome you to this home. 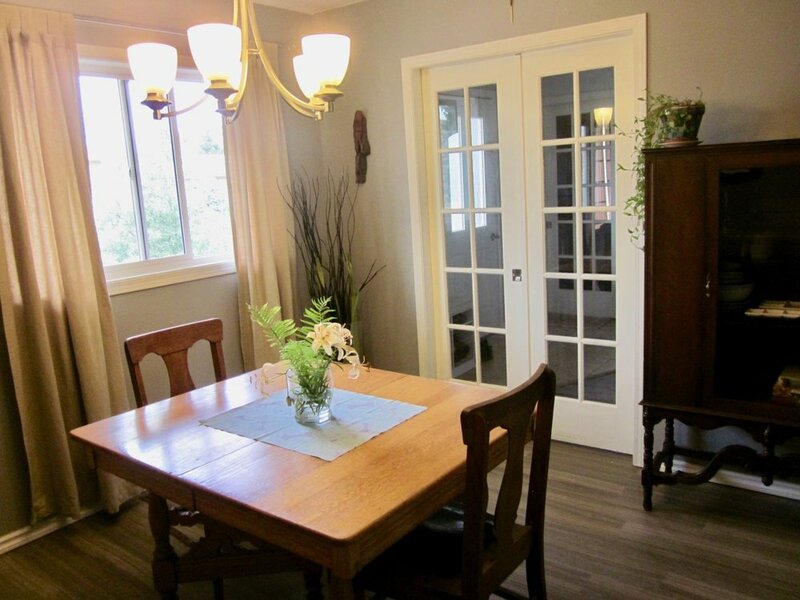 French pocket doors to the dining room and living room invite you into the rest of the living areas. The stairs to the upper level are covered in 80 year old reclaimed maple flooring. The large formal dining room features new premium vinyl plank flooring which continues into the kitchen and hall. The dining room could be used as an office or client area for a home based business with a small dining area relocated in the large living room. The living room features hardwood floors, a bay window and a custom cabinet with an electric fireplace. The room has full media connections and USB charging plugs. The main level has a 2 piece powder room with tile floors. The chef's kitchen features custom maple and birch cabinets with pull out pot drawers. A moveable counter height island features additional storage and a marble top. 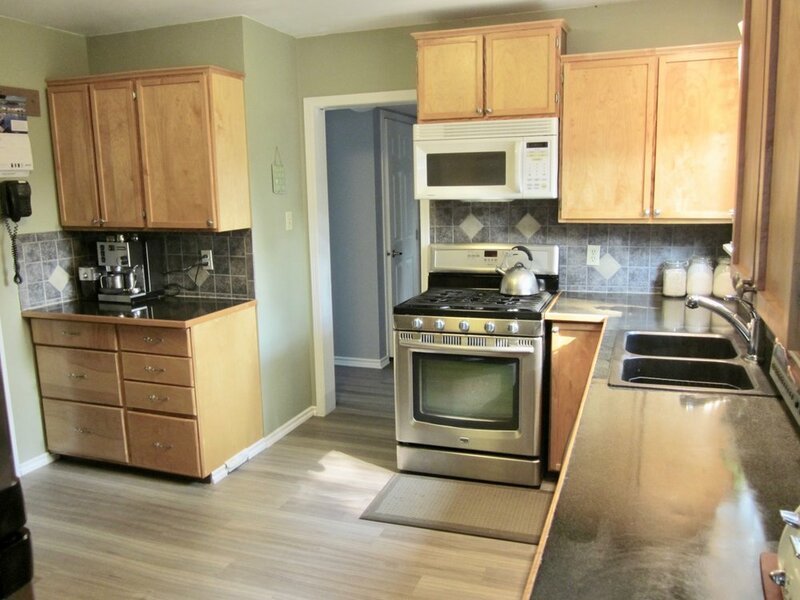 A custom pull out pantry and a Maytag gas convection range, Maytag fridge, dishwasher and venting microwave are included.